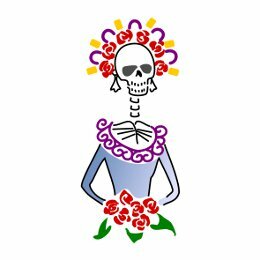 The word "calaca" commonly identifies a skeleton and it´s usually associated to the skeletons and skulls that are typical of the "Dia de los Muertos", the Day of the Dead of Mexican traditions. 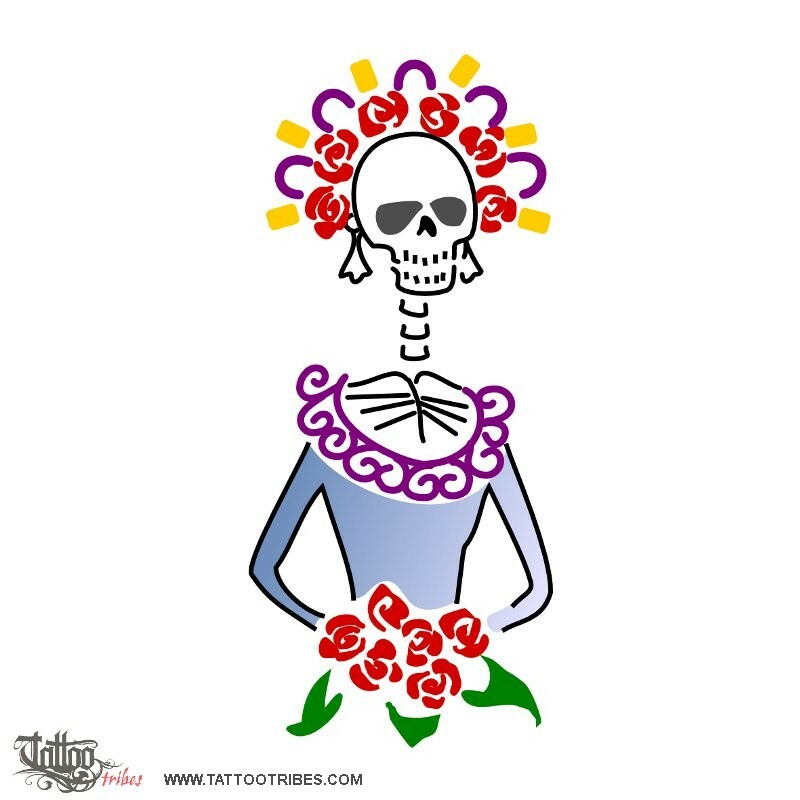 The calaca, or calavera, is usually represented with coloured clothes, surrounded by flowers, playing an instrument or dancing. Those are joyour representations of death depending on the Mexican belief that no soul likes to be remembered in a sad way. On this account the Dia de los muertos is a happy occasion to make parties in honour of the dead and not for mourning them.